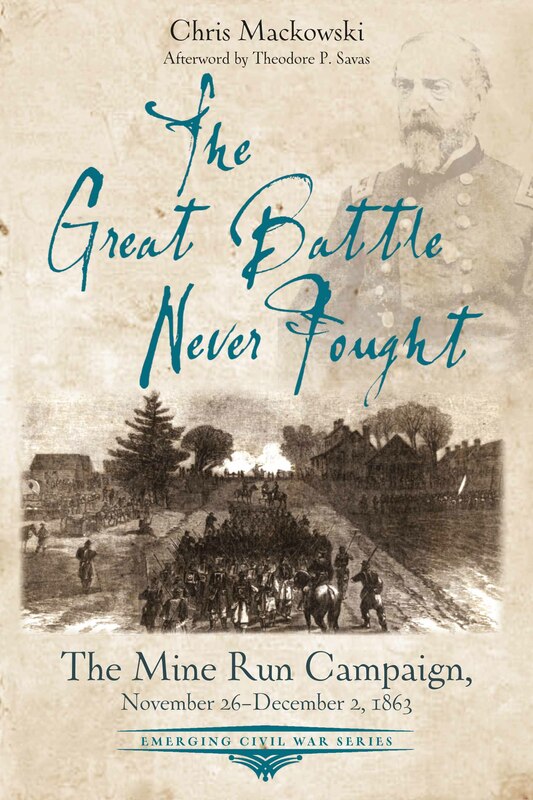 Just in time for the holidays, our historian-in-residence, Chris Mackowski, has a new book available: The Great Battle Never Fought: The Mine Run Campaign, Nov. 26-dec. 2, 1863. The book, part of the award-winning Emerging Civil War Series, recounts the final chapter of the forgotten fall of 1863—when Union Major General George Gordon Meade made one final attempt to save the Union and, in doing so, save himself. “This book was a decade in the making,” Chris says. “It’s a topic I’ve wanted to write about for a long time, mostly because it’s been so overlooked. Because Mine Run was ‘the great battle that never happened,’ it was anticlimactic. As a result, history has tended to jump from Gettysburg in July 1863 to the Wilderness in May 1864. The entire fall of 1863 tends to get ignored. “However, Mine Run lays all the groundwork for everything that unfolds in the spring of 1864: the promotion of Ulysses S. Grant to the position of general in chief, a reorganization of the Army of the Potomac, a reliance on defensive warfare by the Army of Northern Virginia, and a host of other things. Copies of The Great Battle Never Fought are available for order online at Amazon or, for an autographed copy, from Savas Beatie. Visitors to Stevenson Ridge can also pick up a copy in the office, where copies of Chris’s other books are also available. You can also read more about the book at Emerging Civil War.